Show your value-added service with your Positioning Presentation. Ask questions and solicit quality responses to fully understand the decision maker's goals for their plan. Develop a thorough understanding of the hurdles and or objections that you will have to overcome during the upcoming sales presentation. Answer any questions the decision maker asks about you and the services you can provide. Schedule a follow up meeting to present your recommendation, a sales presentation if appropriate. Conduct the Discovery Meeting at the employer's location. By being on location you will be better positioned to gather other information besides the answers to your questions. You can review their office walls for family pictures, diplomas and awards. You will certainly gain a clearer understanding of them and their company by visiting them. I encourage you to end with plan service questions because service is what you have most control over. By asking the Discovery Meeting questions you will learn about problem areas and features other Advisors may have spoken to them about that they are interested in. Final questions posed can include a trial close. You want an understanding if the prospect plan decision makers will move forward if they are presented with a better option. You are not in the proposal publishing business. Here is a sample trail close question, "You have provided a great deal of information, with plenty of opportunity for me to suggest improvements when we meet next. If after our next meeting you agree that my recommendations will provide the 401(k) plan that works better than your current plan will you be at a point where you are ready to make the upgrade?" And a final question to ask as you conclude the Discovery Meeting seeks their assistance setting up the agenda for the next meeting when you will present your recommendations. Ask, "Prioritize for me what will be important to discuss at our next meeting when I present our recommendations. And if necessary, "Would all other decision makers agree on that prioritization?" 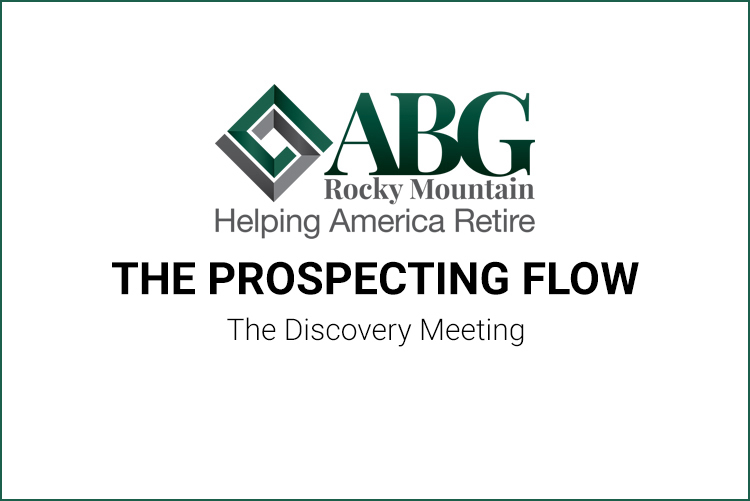 As you close the Discovery Meeting ask for a copy of their 408(b)(2) Fee Disclosure Form and an Enrollment Kit which includes a Summary Plan Description and investment overview. A thorough Discovery Meeting enhances the probability of serving the plan. Look for the next article in the series, when I'll review the Sales Presentation Flow.